There’s a great new website from a brilliant little company in Jamestown who make mugs…. MsMugs. I wanted to share it with you primarily because of their new Personalised service which is a real lifesaver if you’re stuck for an original present idea! It’s also worth sharing because I’ve been shooting Lifestyle Marketing photography for them for the past few years. Their brilliant creativity and fab use of photography is a great showcase for my work. It also demonstrates how important Lifestyle Photography is in promoting products like this. If you’re involved with a small manufacturing business, don’t underestimate the power of using imagery like this. It will show your product in a real life setting so your potential clients can visualise it in their own hands. 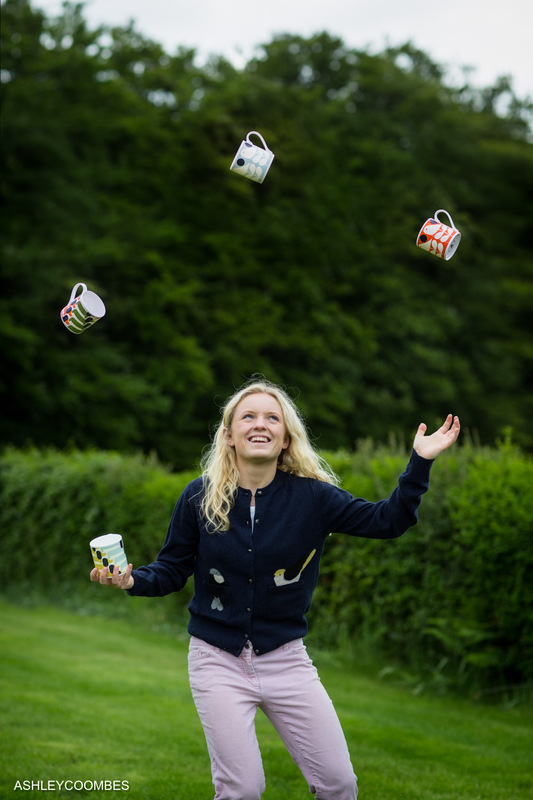 Or if it’s something you might want to juggle with….. almost in their own hands!! You can see more of my work like this with the beautiful Italian leather handbag company Fioriblu.